If you eat bread read on..
Our team. 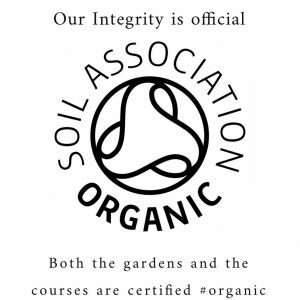 A professional team of deeply passionate individuals, with a wide range of expertise contribute to our classes. Jackie Lynch, Registered Nutritionist MBANT, Nutritional Therapist CNHC. Dr. Amrita Vjay – Specialises in digestion and the human gut microbiome, working alongside Tim Spector and Kings College Hospital London. Who we teach: most of our teaching is online, but we do run a small number of small tutorial style diploma classes each year. They are run from Vanessa’s kitchen. Our aim: To educate in both the art and science of sourdough bread making and fermentation, and study the interaction between bread and the gut microbiome. The focus: Our focus is on nutrition and digestibility of bread and the symbiotic relationship between fermentation, the role of microbes and gut health, and wellness. How: To transform evidence based research into bread making techniques, tips and advice in plain English. Whether you are a complete beginner and looking learn to make a basic loaf, a seasoned baker who wants to improve their loaf, to a medical professional wanting to delve deeper into nutrition of bread as part of your research, The Sourdough School specifically concentrates on teaching all aspects of bread baking and the science and nutrition to all levels. We particularly focus on providing recipes and formula’s for people looking for a bread that suits their particular requirements, and run specialist workshops for specific issues such as IBS and Diabetes. It’s not just bread, we also teach sweet bakes using wild yeast and lactic acid bacteria to leaven every day bakes such as cakes croissants and pastries. 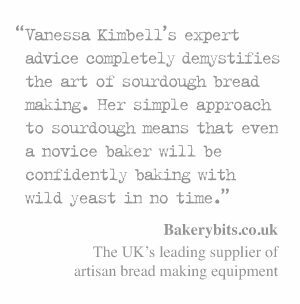 We are located in Northamptonshire, the school is set in the beautiful gardens of sourdough baker Vanessa Kimbell. It is home. Classes are small tutorial size groups at the kitchen table in a rustic French Kitchen classroom. 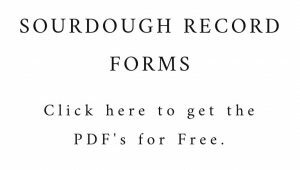 We have an online subscription for people to learn to bake sourdough at home, and we run a small number of workshops and tutor small groups in the art of fermenting bread & we are RCGP accredited for our nutrition and digestion of bread diploma. 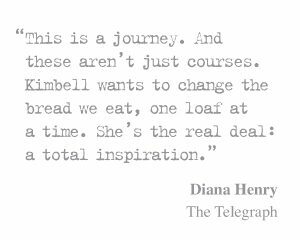 The Sourdough School, which was featured in the Sunday Times in the top courses in the UK and in The Telegraph top ten baking courses in the UK, and in the Evening Standard top course in the UK. We occasionally have guest sourdough bakers tutoring from all over the world. Classes sizes are small tutorial size groups, set in a purpose built classroom, taught on a old French table with a battered sofa to relax on. It is set in the grounds of the beautiful Victorian home in Northamptonshire, where you can wander around and feed the chickens. Students who attend can expect a wonderful day, with fresh baked sourdough bread, jam from the fruit garden, home made butter and fresh garden flowers on the table, and enjoy wandering about in the garden, weather permitting. Everyone is encouraged to pick the herbs, fruit and vegetables or collect the eggs from the chickens to use. The Sourdough School is based in Vanessa’s beautiful French style kitchen. 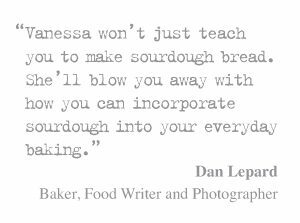 Classes are small tutorial size groups, so you can expect a small friendly, fun hands on day learning to bake beautiful sourdough bread.